I think therefore I am? – Connecting? Heart Connection by Alisa Looney. Photo by Nancy Regan, taken in Puyallup, Washington, used under Creative Commons licence. Talking to patients can be challenging, and it can be a struggle to make a connection sometimes. You need to have a plan as to how you are going to play the interaction game, and it can feel like a particularly demanding game of chess at times. You may have to pick your words carefully, as not everyone is naturally trusting, especially towards someone that they have never met before i.e. a total stranger. What worked on patient A in room 2 may fail dismally with patient C in room 5. Everyone is different as are their responses to your attempts to make a connection. That is what it is all about, through use of all the communication skills that you have learnt, you try to make a connection with another person. How can I ‘click’ with the other person in order for us to have important conversations? The other day I made a patient laugh and smile, two of my favourite things to do as a doctor. Two men from completely different walks of life, in the space of 15 minutes, made a human connection through humour, blokey-ness and general conversation. I wished him a good night and said that we would talk again tomorrow about transferring him back to his original hometown. Neither of us knew that mere hours later one of us would not be alive any more. Please share with the Palliverse community what the best thing you did all week was. We are honoured to bring you a guest post, in fact two, and indeed we hope more, from the fabulous Dr Chris Sanderson, palliative care physician. 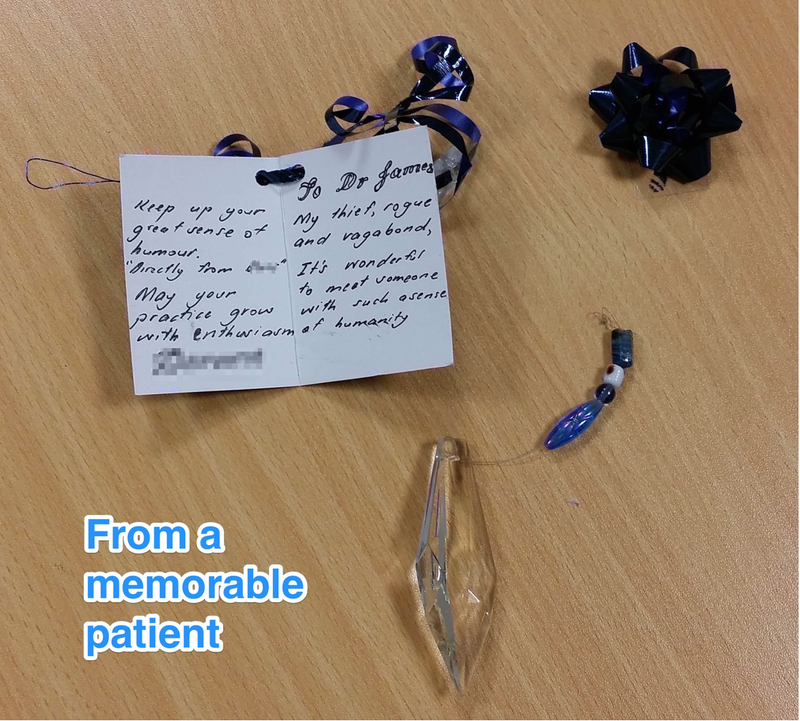 I have to say that I was so inspired by this idea, by putting patients at the centre of our communication, where they should be, that I totally stole this idea for my own Change Day pledge. Below is part one of her description of her pledge for Change Day, #lettertome. #lettertome : A twitter campaign to improve how we share information with patients. Social media is such a wonderful space for spreading ideas – and sometimes the simplest ideas may convey a world of significance. Recently on twitter, there was a conversation between various doctors and patient advocates about how we speak to and about our patients, and the subject of doctors’ letters was raised. Thus was born a new hashtag, a pledge for Change Day Australia, and potentially a new way of doing things. What the heck was going on in the lounge? A patient’s family and the doctors were sitting on the floor with their legs crossed. Were they about to break out into song? Kumbaya my lord, Kumbaya…? Was this part of the Hospice Yoga Initiative? Mat-time at a new New Zealand charter school? No, it was actually a family meeting. I thought to myself while I was talking to him today, I’m really going to miss this guy, who I’ve been calling mate. Some people will really pull on your heart-strings. Mate is one of those people. He’s really unwell, and his time is very limited, but he’s still charming the ‘socks off’ of all of the ladies. He’s always very polite, and well-mannered. I’ve been looking after him for the past week or so, and he has been deteriorating on an almost daily basis. He never complains and has never liked to cause a fuss. He’s a shy man, who doesn’t want to be a nuisance, I’ve had to almost beg him to ask for pain relief when he needs it. He has been through an awful lot of pain. It has improved since he came under our care, but it is still there. He has never complained, either before or after his illness was discovered.